I went to the design highlght exhibition of the Stedelijk Museum, there was a lot of design. For example, chairs, textiles, jewellery, lamps, graphics, books etc. Suddenly one small piece of jewellery made me stare for a while. 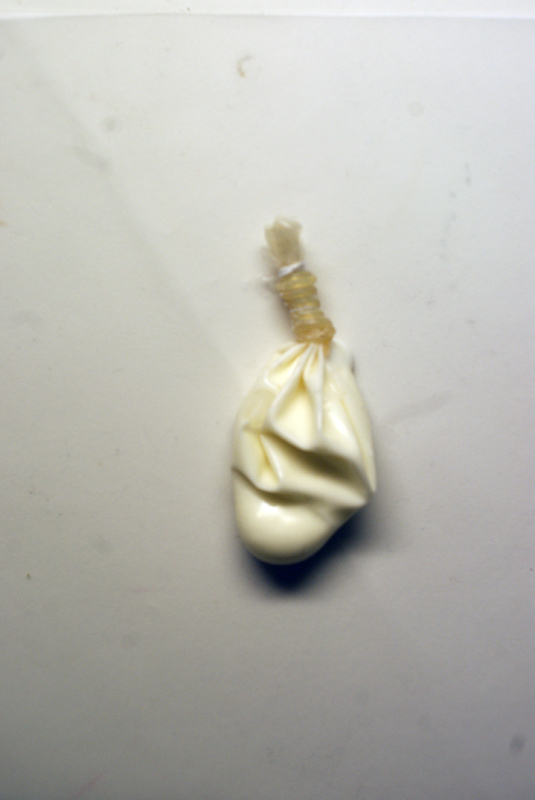 It was Ted Noten’s work which was “Chew your own brooch” 1998. For me his work was visually intriguing compared to the others. Particularly as I’m interested myself in making different things. For instance, clothes that I don’t usually wear. I even collect recycled things in order to rework them. So it reminds me of my interests and that is the reason I’ve chosen his work. Ted Noten is one of the most influential Dutch jewellery designers working in the Netherlands today [x]. He is known his solid acrylic handbags and a little mouse necklace and brooch which I’ve seen it. When I saw this brooch (chew your own brooch) I thought that it just represented a chewing gum. Unexpectedly, after I research his work, it wasn’t that what I expected. According to him “ I got fascinated by the stains on the streets made by chewing gum that has been spat out. 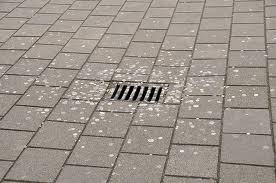 People either look for holes in the pavement to get rid off their gum, or they approach a building and spit it out on the steps before entering. These are places where the density of stains clearly thickens. It made me consider the relevance of such observations to my work as a jewellery maker”. I was quite impressed and shocked, how he was inspired by stains on the streets made by chewing gum and I simply thought that ideas are always close to your environment as he observed by street. 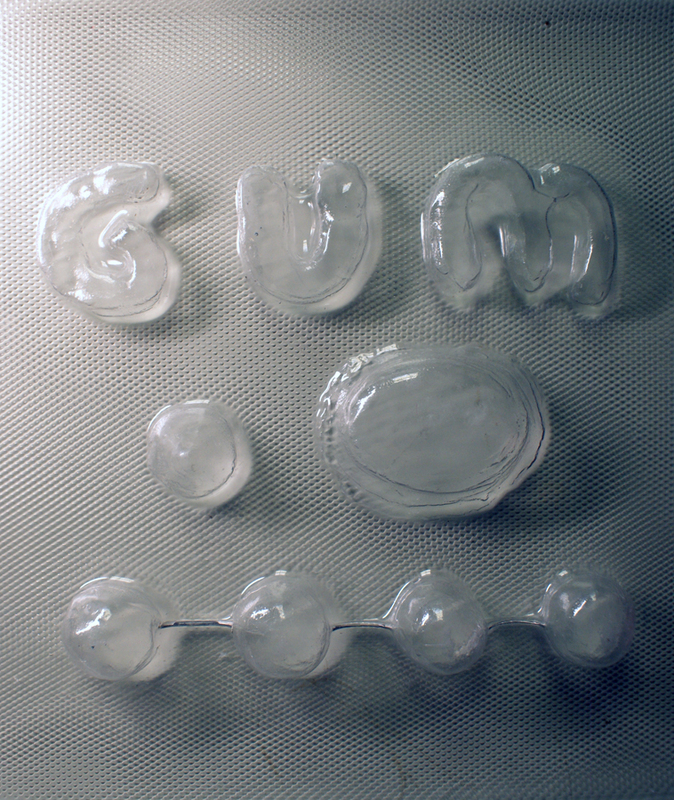 Basically, the process is that he provided you with a piece [X] of gum and then you start out with a thin strip of chewing gum; you chew it into a ball and then the process of shaping and re-shaping starts until it ends. X] would be delivered to you by post. 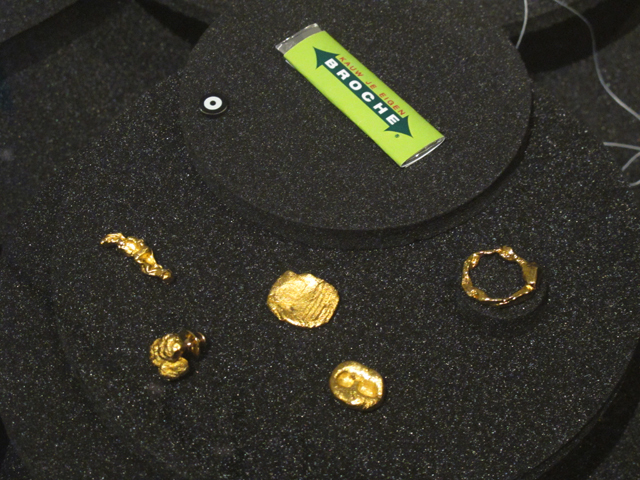 It’s fantastic to see how the designs become a brooch and each has its own personality of the chewer. This project connects the designer’s role and the role given to the audience. What is the chewing gum? Basically, Chewing gum is a type of gum made of chicle, a natural latex product, or synthetic rubber known as polyisobutylene. Most chewing gums are considered polymers and they have different types of tasty but after a certain time the tasty always disappears and than you rid off it from your mouth. In my perspective, the chewing gum reminds me of the disposable society and relationship situations. For example, when we need it we spend time with it and after when it no longer necessary we unsparingly abandon it. 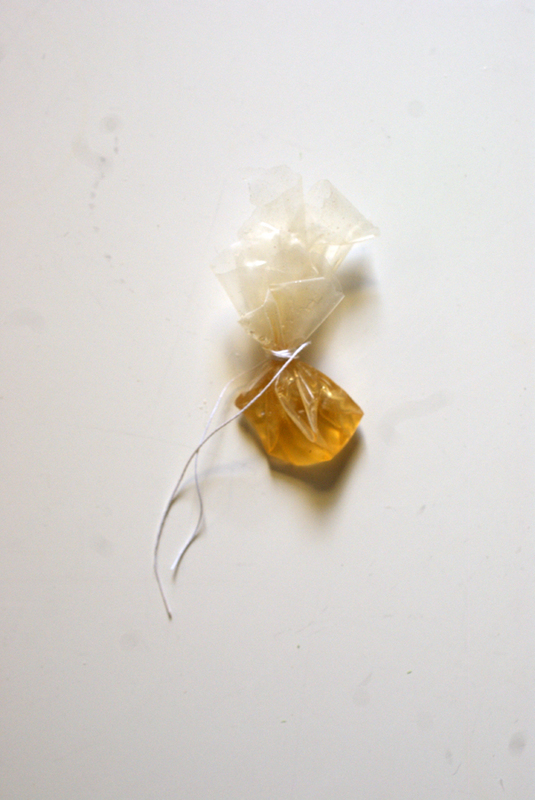 I was curious Ted Noten thinks the same way with those chewing gums. I read an article about him, which described Ted Noten’s design act as a critique on contemporary life and on the history of jewellery, as well as on the wider context of product design. An interesting part of his work is to challenge convention. When I looked up other work which he is known for, acrylic cast featuring a little mouse, it reminds me of one of English conceptual artists Damien Hirst. He became famous with a series of artworks in which he presents dead animals. Actually I’ve seen his work in Tate modern in London. 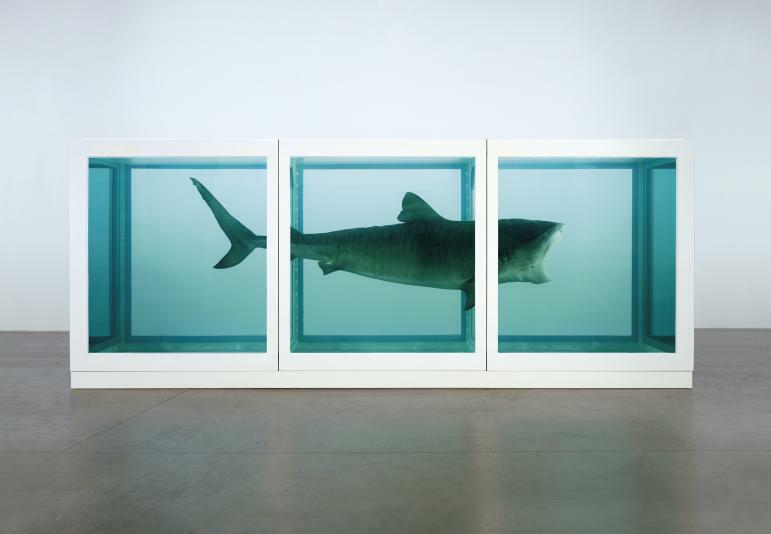 He displayed “The Physical Impossibility of Death in the Mind of Someone Living,” a 14-foot-long glass tank with a shark preserved in formaldehyde. Also he made “spin paintings” created on a spinning circular surface, which are randomly colored circles created by his assistants. It was a slightly different approach compare to Ted Noten. Hirst’s work investigates and challenges our contemporary belief systems. Even if they differ in approach I found that Damien Hirst and Ted Noten are interacting with the audiences and both their work has a strong symbolic statement in it.